ItemH-01663 - "Kootenay Falls, near Nelson, BC." 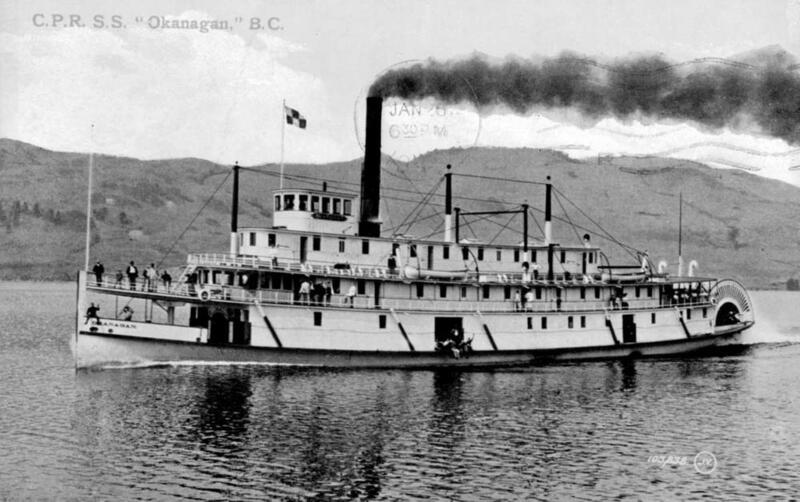 ItemH-01733 - "CPR SS Okanagan, BC." ItemG-08422 - Exterior of the new Christ Church Cathedral, Victoria; under construction. ItemG-08423 - Christ Church Cathedral, Victoria, Under Construction, Showing Unloading Of Rock For Stonework. ItemG-08424 - Christ Church Cathedral Under Construction, Victoria, BC. ItemG-08426 - Exterior of the new Christ Church Cathedral, still under construction, Victoria. Item H-01733 - "CPR SS Okanagan, BC."